In my previous post, I set the tone as to what kind of training, approach and preparation went into this race. As a quick recap, August 2009 was the last time I raced a Half Ironman. After that I start rehabbing a micro tear on my shoulder (rotator cuff) so I didn’t swim at all. Also, in 2010 I began the rehab from a knee surgery. It is important to notice that neither of this two injuries occurred because of my endurance training. The shoulder injury was an acute one that occurred after I was dumb enough to jump into a boot-camp type of challenge with a friend and due to my lack of specific preparedness and bad technique; I suffered the injury while doing pull-ups (totally my fault). The knee injury evolved from a bad bike fit that *I* screwed up after traveling back and forward with my bike and not correcting it. Both, stupid mistakes but live and learn. Anyway, most of 2010 I didn’t do much of anything most of the year, 2011 I was able to bike some (did cyclocross), run a bit, not much swimming and by 2012 I began to get back to training but very slow and conservative to make sure my body was fully recovered. 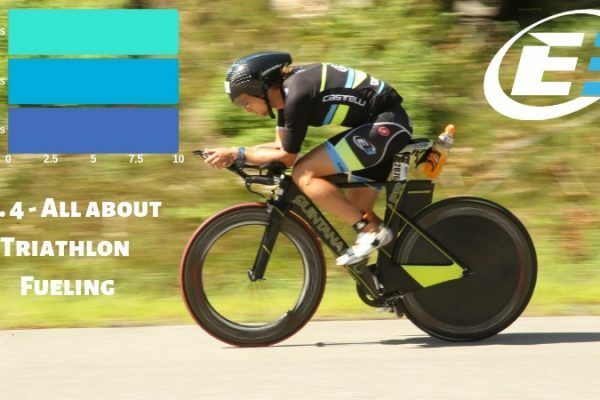 I competed in a few sprint tris and began feeling like my old self to the point at the end of the year I decided I was ready to get back into full training mode and shoot for my return to long distance triathlon racing. 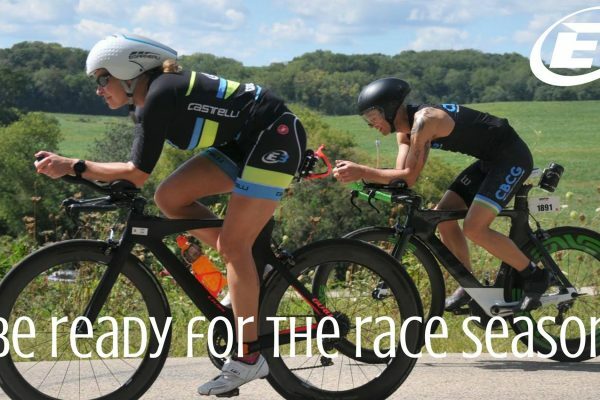 In the Fall I signed up for Rev3 Quassy. But it was not the best as an athlete as I spent a lot of time walking, under the sun and heat day but I couldn’t help it and I didn’t care at all. Later in the day we had our team dinner which was another chance to talk to my athletes about their day performance or last minute pow-wow about the racing plans I provided. At that time, it hasn’t clicked yet that I was actually racing the next day but soon enough, when we returned to the hotel and put on my bib number tattoos, it became more real. The rest was uneventful as I went to bed relatively early and unlike previous times when I can barely sleep due to the excitement, I slept like a rock until the 4 am alarm went off and it was time to fuel before the race. One of the things you kind of untrained due to the lack of racing is the ability to down a big breakfast that early! But I managed to eat my bagel, some fruit juice and soon enough we were on our way to the race site. When we got there I put on my game face on and I was ready to race! But in all honesty, I was feeling nervous and like a total rookie after so many years of not racing this distance. I literally had butterflies in my stomach but thankfully all that soon disappeared as I got into transition area and seeing my athletes relaxed me as I went into coaching mode. Ok, this was probably my worst leg of the day bit somewhat expected. I knew my swim time would be between 30-32 min (my prediction based on a few open water swims) so I was surprised at first to see 32+ min swim. But after thinking back it make sense; I started at the front of the swim and as soon as the gun went off, I was at the front and holding my pace with the leaders. I them quickly settled into a nice pace and was following drafting some fast feet. But as I turned to breathe I gulped some water and this threw me off. For the remaining of that section I had trouble swimming comfortable, I felt like I was not in control and like I was totally out of my game, I was swimming of course, you name it, totally bad! Not bad, execution was well for most part but I could have been more fluid as I felt rusty for sure! All in all I was around where I wanted to be but there were a few things I would have done different and I think it will come from getting more into regular racing ‘rhythm’, something I was certainly missing for this race! First, my ride was more variable of what I would have desired. If you take my average power (196w) and my normalized power (210w) the variability (NP/AP) was 1.07. This was slightly higher than my 1.05 goal. Now why is this big deal? Well, anytime your ride is more variable it means you spent some time riding above your target and sometimes below your target. The latter is normal in a rolling hilly course as Quassy simply because on long down hills you spend less time generating power and more time coasting enjoying ‘free’ speed. For instance, around mile 46ish there is a 1+ mile downhill where I avg just under 37 mph for almost 2 min while my power was under 46 watts. There were around 16 times I did something like this lasting anywhere between 25-90 seconds so you can see why the ride may be somewhat variable. In fact, I spent around 12min coasting looking at my power/cadence distribution charts. Now the important part, this can become ‘less’ variable with the times you ride uphill. This is because while you spend so little energy going downhill, you spend more energy going up, problem is, how much higher you go on those up hills that will keep the ride constant or make it variable. In my case, and where my racing rhythm is a bit off, is that, on up hills while it is normal to have to produce a higher power to get your body overcome gravity and pull yourself up the hill, how much above your target will make your ride more ‘spikey’ and variable. My target for the race was to NOT go above 220-225w on long sustained (not so steep) climbs and stay below 230-235w on short more steep climbs. I didn’t execute as well on the 2nd part of the ride as I went over this target sometimes. The other reason my ride was more variable than planned was because when you get to accelerate and spike your power way above your target and above your critical power as I did at times, you burn ‘matches’. Philip Skiba explains this very well in his article “Understanding Work Above Threshold” but in a nutshell, anytime you ride above your CP, you dip into a finite energy reserve called W’ (formerly known as anaerobic work capacity). This means, that as you use this finite energy source, and when you use it significantly you have to either stop or slow way down. 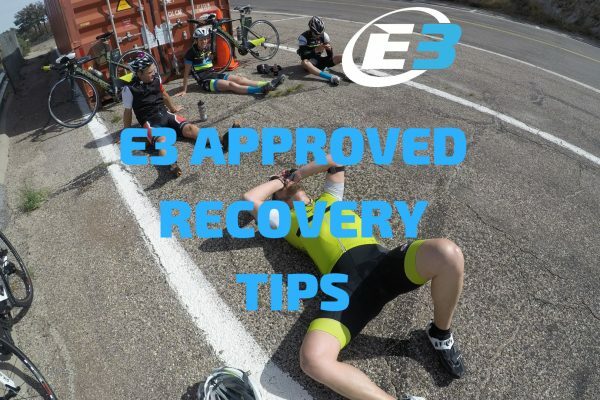 In long distance tris this is important because even if you use your W’ to some degree that doesn’t affect your bike, it may very well end up affecting your run! In my case, I spiked my power 7 times over my CP and sometimes above my 20 min max power. So this execution mistakes probably cost me ‘a bit’. (You can see this below, yellow dotted below line was power target, yellow dotted above is my CP, the line I didn’t want to cross much, the solid yellow line is actual power; you can see some of the spikes above CP or the times ‘coasting’ as power dropped/speed increased). Now the main mistake I did on the bike was with my fueling. As I mentioned on my ‘Comeback’ article, I did a lot of specific bike training though I think I didn’t do enough fuel adaptation. That is, in some of the longish rides I did, I missed the chance (rookie mistake) to really practice my fueling as in race day. Therefore, during the bike I consumed a bit aggressive number of carbs which would have been fine if not for a lack of focus in the last water stop. What happened is that for every gram of carbohydrates that you consume, you have to dilute it with water to keep the concentration to a level that won’t upset your stomach at best or result in an Exercise Related Transient Abdominal Pain aka a “side stitch” at worst. The literature suggests keeping the concentration between 6-9%. For people prone to stitches (like me) you want to stay on the low end. Well, my mistake was that I not only didn’t practice my fueling to the extent I did on race day, but also, in the last water stop where I meant to get water, my mind thought water but my mouth yelled “Gatorade”. As I grabbed the bottle I realized my mistake but just kept going. The run started great, I came out of T2 feeling great and excited after seeing so many familiar faces. I was also told I was perhaps 4 or 5 in my AG and that gave me the motivation to focus and settled into a nice rhythm, after all, running has always been my strong leg and I am usually confident I can make up time, catch people ahead, etc. All went well for the 1st 3ish mile, having done the course a few weeks back, I knew this portion would be faster than my race pace target of 6:30s. I ran 6:15s for this portion due to the downhills and I was feeling great and I passed 4-5 guys, however by the middle of mile 3 as I fueled in the previous two water stations with coke and water I began having an old yet very well-known feeling; a dreaded side stitch! Having had this before, I knew I had to go into ‘damage control’ ASAP so I started trying to switch my breathing patterns, took shallow deep breaths, and began inhaling through my nose, exhaling through my mouth. All seemed to work as I could feel some discomfort but it felt like I was been successful keeping it at bay. Then the 3rd water station came and as I fueled drinking more coke and water, the side stitch smacked me harder than a 20 ton trailer. I was running through the dirt road uphill section on the back of the curse and every step was beginning to feel like pure agony. All I could feel was like some evil alien made its way into my right side abdomen and it was using a knife to cut through my stomach to exit and be free! For the next mile or so I just remember gritting my teeth and trying to hold into the fastest pace possible while grabbing my side abs in pain. I didn’t look at my watch but I could tell I was not only NOT gaining on guys ahead of me, but I was actually been caught by others. I kept on focusing on my breathing patterns and just struggling to run at a decent pace. I slowed down to over 7 min/miles and the pain was so bad I rolled my top up turning into a mankini (not pretty at all) and pulled my shorts down some. All I wanted was to avoid anything touching that area. As I ran a small out and back section between mile 4.5 and 5.5 it became obvious I only had 2 options. Either, I would have to stop, walk, slow down, forget about the time, placing and racing, let the stitch to go away but eventually I would be able to fuel and complete the run. Or if I wanted to attempt keep racing, I could take a riskier move; endure the pain for another mile or two and stop fueling all together (maybe drink some water). I figured by avoiding fueling (carbs), the pain may go away as the concentration in my body would normalize; and by sucking up the pain for a few miles, I would be able to speed up “going for it” at the risk of hitting the wall. After all, I was going to go without fueling for over 7 miles. I chose the latter and went with it. Over the next mile the pain became somewhat bearable so I sped up to 6:45s, then it got better and ran 6:30-35s and I was able to get into a groove; well that until mile 11ish hit. That’s when it happened, the inevitable occurred, I ran out of energy and blew up like a Mexican Piñata! From there on, I just toughen it up running as fast as I could for the last few miles. I managed to pick up the pace the last 1/2 mile but the damage was done. When all was said and done, I finished 6th in my AG and 21st amateur overall with a 4:46:14, over 1:14 min my pre-race prediction (not bad at all). Thinking back, I am not disappointed about the result at all as I know I had a good performance considering my training and my time away racing this distance. I do know the mistakes I did were preventable and something I will work on so it WON’T in coming races. I am very excited about my fitness and honestly I am feeling better, perhaps of what it was when I stopped racing long course back in 2009. I have big goals for this season and I plan to work hard to go after them. I don’t know if they will become a reality and I don’t care. Nothing happens if we don’t try right? And if they do come a reality, it will just be the icing on the cake because what I am enjoying the most is the training and the time I now get to spend with my athletes while doing it, so it will be a win win! Timberman 70.3 here I come!